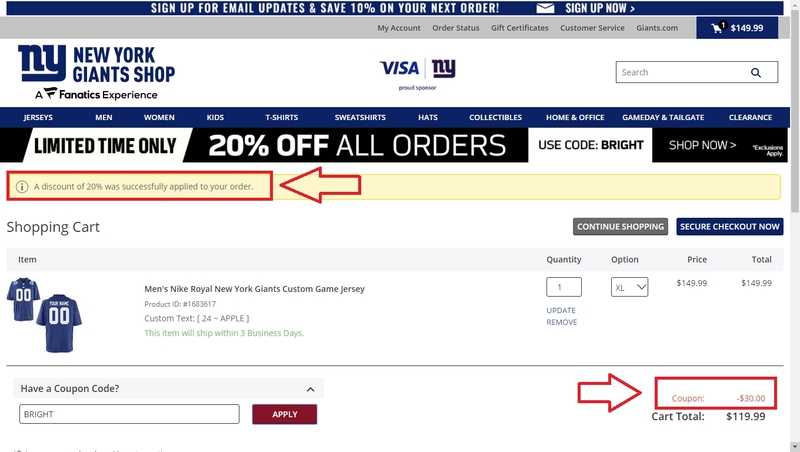 Jese Gonzales This deal is currently active and working as described, Add products to your cart and paste the code at checkout to save 20% off your next purchase at New York Giants Shop. 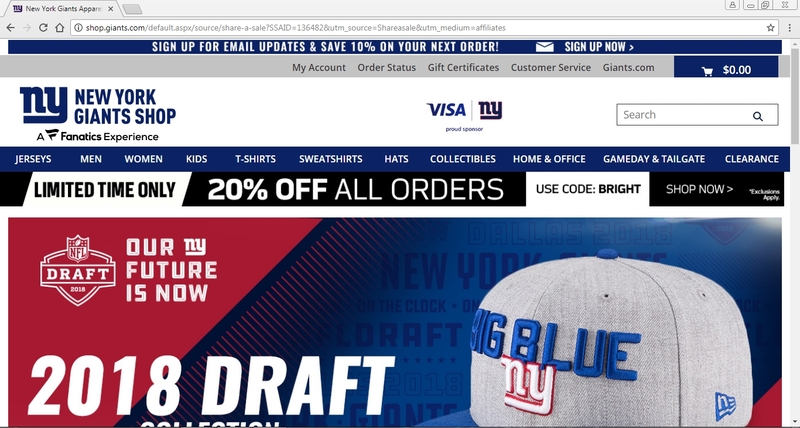 Paola Vanessa Briceño Araujo Go to New York Giants Shop and use this promotional code to save 20% off your order. Just go and apply this coupon code in your shopping bag at checkout. Some exclusions apply.